Announced last week, System76’s refreshed “Darter Pro” Linux laptop is now available for sale with improved battery life and updated components. The Darter Pro 2019 laptop is finally here to address the shortcomings of the previous model. It features a larger, long-lasting battery, smaller bezels, and a tactile, multi-color backlit chicklet keyboard, as well as upgraded internals to make it faster and more reliable while on the go. The extra battery life makes it perfect laptop for remote workers and travellers. “The Darter Pro was tested under a variety of conditions, including video, music, email, writing via the cloud, and online messaging programs. On average, the battery lasted about 7 hours. 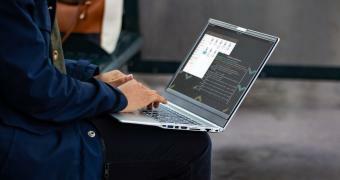 Customers have been requesting improved battery life for quite some time, so the company is confident that the Darter Pro will be a coveted option among those who prefer to work unplugged,” said System76.